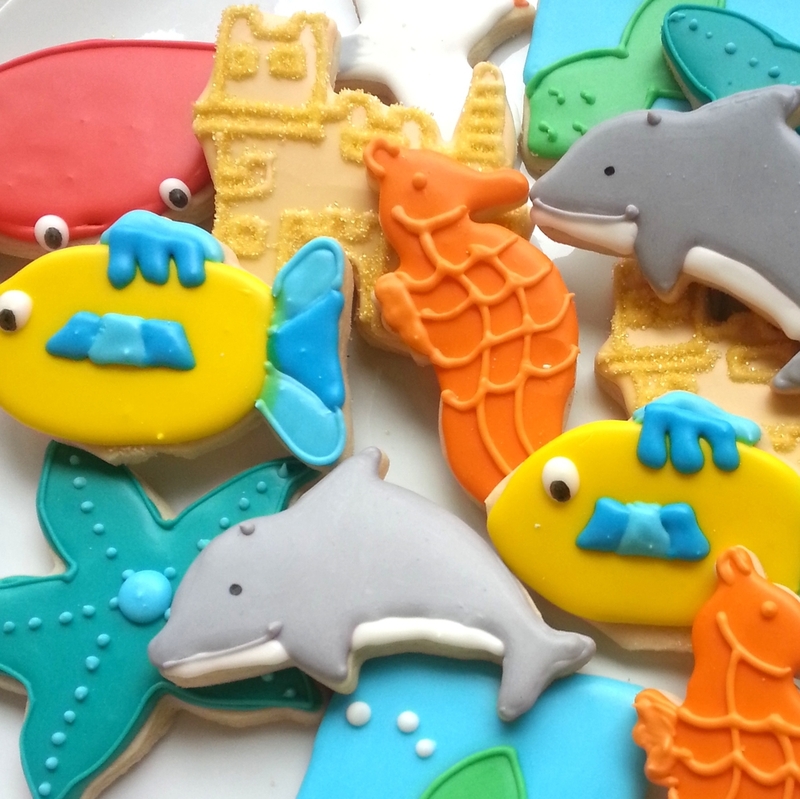 Our decorated cookies are baked to order with quality ingredients, so they are fresh and delicious for you. They make a unique dessert option for your event or a memorable favor that will have your guest talking. We take pride in making cookies that bring a special touch to any occasion. We can put anything on a cookie. If you can dream it, we can make it happen! Browse the gallery below to see some of our recent work, visit our shop to see our current selection, or contact us with your custom order or inquiry. 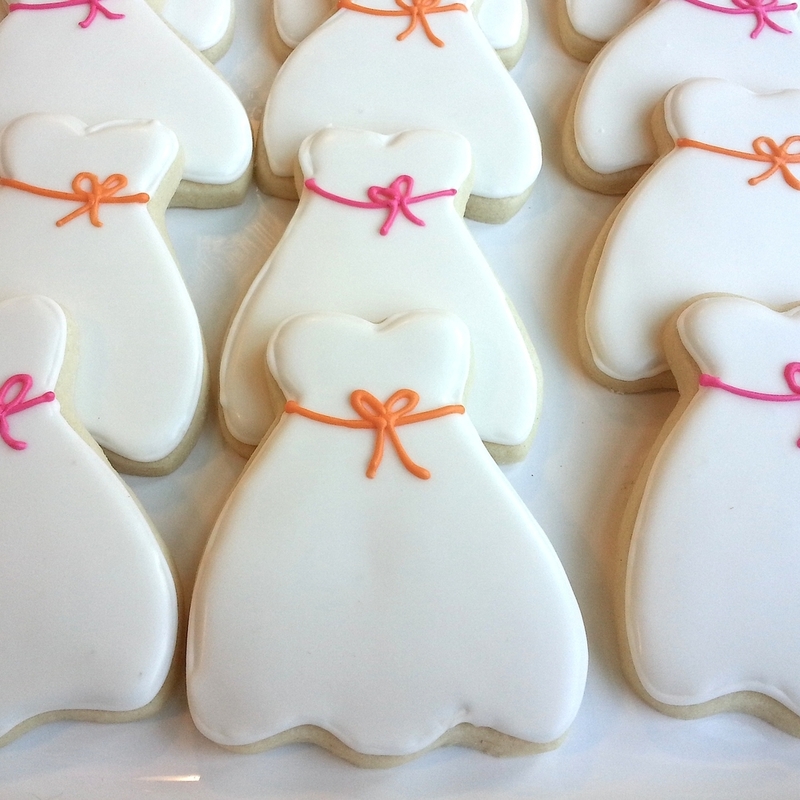 Visit our shop to see prices on our most popular cookie favors. Custom cookies start at $3.00. Please contact us for a personalized consultation. Cookies can be heat sealed to stay fresh for one month or tied with a ribbon. Other packaging options include: ribbon and tag, custom ribbon, on a stick, bag topper, flat with a sticker. All packages come with an ingredients sticker on the back. Light Almond Vanilla: This is our signature cookie recipe and the most popular. It works well when providing favors for large groups. Orange Vanilla Bean: We use a pure vanilla bean base sugar cookie with orange zest. After baking we lightly brush the cookies with an orange glaze and top them with vanilla icing. Lemon Poppy: Using a light lemon cookie base we add poppy seed and lemon zest to give them a not-too-tart burst of flavor in each bite. Each cookie is brushed with a lemon glaze and decorated with vanilla icing. Chocolate: Our rich chocolate cookie is made with a full cup of dutch-processed cocoa powder for a for an unmistakable chocolate cake flavor. Cookie are decorated with vanilla icing. Red Velvet: These cookies are chocolatey, moist, a deep red color, and delicious just like the cakes they were designed after. Cookies are decorated with a cream cheese icing. Chocolate Chip: We use a pure vanilla sugar cookie as the base for these cookies and add a heaping handful of mini chocolate chips to the dough. Baked cookies are decorated with vanilla icing.